Casumo Review 2019 – 100% first deposit bonus + 20 free spins! Get 100% bonus & 20 free spins! Editors note: Anyone who signs up at the Casumo Casino can take advantage of their 100% first deposit bonus and 20 free spins new player bonus. A 100% first deposit bonus up to £300 kicks off the offer and on top of that there are 20 free spins to go with it (wagering requirement 30x). It’s without a doubt one of the best sign up offers around, especially for slots players, offered by a casino with an ever growing positive reputation. It is by working with that many different providers, therefore, that Casumo Casino can offer what is a peerless selection of slot games. Hundreds of different titles are available through the company’s desktop site and, more impressively still, most of these are also offered to mobile customers. Amongst the selection slot games that are playable at Casumo, are progressive jackpot options, titles featuring all manner of different numbers or reels and bet lines and a great variety of interestingly themed slots. Those themed games include a number of slots based on popular board game Monopoly, some paying tribute to famous bands like Motorhead and Guns ‘N Roses and others themed around films and TV shows like Jurassic Park and Game of Thrones. Play slots & get your first deposit bonus + 20 free spins! In order to try to tempt customers over from the more established online casinos, Casumo Casino run a very interesting welcome promotion. That promotion is linked to a new customer’s first deposit with the company and can provide a total of up to £300 worth of bonus funds and up to 20 free spins. A customer’s first deposit will be matched 100% up to up to £300. An initial 20 free spins, meanwhile will be credited as soon as a customer registers an account on top of the deposit offer. Visit casumo.com on your PC, laptop or favoured mobile device. Click or tap the yellow ‘Sign Up’ link found in the list to the left hand side of the page. You will then be taken to a registration form, which you can fill in by following the on-screen instructions. Once you have registered your account, your first 20 free spins will be credited. Make your first deposit with Casumo and bonus funds worth 100% of that deposit will be credited to your account (the overall maximum bonus amount a customer can receive is £300). Get your 100% deposit bonus + 20 free spins bonus! As you may expect from a promotion that could provide a bonus worth £300, the Casumo Casino offer is subject to a number of terms and conditions. The most notable are included below or to see the full T&C’s visit the Casumo website. The promotion is limited to new Casumo Casino customers only. The maximum overall benefit provided by the promotion will not exceed £300 in bonus funds and 20 free spins. 20 free spins are credited upon registration for use on the Starbust slot. A customer’s first deposit will be matched up to 100%. Matched deposit bonus funds cannot be withdrawn. Before withdrawal is possible, an amount equal to 30 times the initial deposit AND bonus amount must be wagered. Different games contribute at a different rate toward the fulfilment of those requirements. Contribution weightings are as follows; slots and any other game not specifically named in this list contribute 100%; video poker contributes 30%; Casino Hold’em, Oasis Poker and TXS Hold’em Poker contribute 10%; Ultimate Texas Hold’em, baccarat, punto banco, roulette and blackjack do not contribute. The wagering of free spins winnings can contribute to wagering requirements. Wagering of bonus funds on 1429 Uncharted Seas, Bloodsuckers, Dead or Alive, Jack Hammer 2, Kings of Chicago and Simsalabim, however, will not contribute. 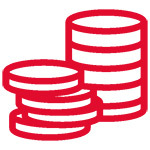 Bonus funds are used in proportion to the real money in a player’s account. If a player has £100 in real money and £50 in bonus, for example, a £60 bet will be composed of £40 of real money and £20 of bonus funds. The maximum bet allowed to be placed for the duration of any bonus is £5 per spin or 50p per bet line. Any winnings from free spins are credited as bonus funds and must be wagered a total of 25 times before any withdrawal is possible. Any bonus funds or free spins will be removed if they go unused for over six months. Casumo Casino is just as easily accessible to mobile customers as it is to players who favour their PC or laptop. Users of any type of mobile device, after all, simply need visit the site through their device’s web browser and can play their chosen casino games via Casumo’s HTML5 based mobile site. When a player first accesses the Casumo Casino mobile site, they will probably be struck by just how attractive and slick it looks. More than that, however, the site is intelligently laid out and that makes it really easy to use and to navigate. Games, for instance, can be filtered and listed by category and specific games can even be searched for by name. That is crucial, too, as the sheer number of games available is really impressive and would make it difficult to simply browse through and find one particular title. Amongst that excellent selection of available games, what’s more, are a number of live dealer options to round out what has to be one of the best mobile game collections on the market. The main weakness of the Casumo Casino mobile offering is quite simply that it can be very slow to load and to move between different categories, games or pages. This is perhaps linked to the fact that there are so many games available, but is unquestionably frustrating for a player. In comparison to the astonishing number of slot games available, too, the selection of table games provided via the Casumo Casino mobile site can be seen as a little underwhelming. In comparison to mobile offerings from other sites, however, the selection is not particularly lacking. Get app & 100% first deposit bonus up to £300 + 200 free spins! Considering that Casumo Casino are comparatively new to the online casino market, you might expect their customer support to fall short of that offered by some more established competitors. For the most part, however, this is simply not the case. Any Casumo Casino customer who has a question about or who comes across a problem with the service can seek assistance in a variety of ways. Firstly, the company provide a very good online help centre which is populated with a good number of comprehensively answered frequently asked questions. Those questions cover areas such as account details, payments, bonus and technical issues and will resolve a great many issues without any further action needing to be taken. If that help centre doesn’t get to the bottom of an issue, however, customers can also contact the company in three different ways. Live chat is provided via the website, email enquiries can be sent to hey@casumo.com and even postal queries can be sent to Casumo, The Unicorn Centre, Triq-I-Uqija, Swiegi, SWQ 2335, Malta. There is not, however, any facility for contacting the company over the phone. The Casumo Casino is operated by a company named Casumo Services Limited, which is based in Malta. That company’s registered office can be found at Unicorn Centre, Triq-I-Uqija, Swiegi, SWQ 2335, Malta. When providing services to customers within the UK, the company is licensed and regulated by the Great Britain Gambling Commission. When serving customers outside the UK, the company is licensed and regulated by the Malta Gaming Authority. Some specific games hosted by the Casumo Casino are also licensed and regulated by the Alderney Gambling Control Commission. In the case of cyber security, Casumo Casino players can be safe in the knowledge that all connections and all information transferred through the website benefit from SSL encryption. Whilst fairly new to the party, the Casumo Casino has already established itself as one of the best online casinos in the world. From their welcome bonus, through their game selection, all the way to their mobile offering, Casumo Casino provide a great service to their players. Providing a potential total of £1200 worth of bonus funds, as well as 200 free spins, the Casumo welcome bonus is unquestionably one of the most generous on the market. The wagering requirements attached, too, are by no means as restrictive as you may expect for such a generous offer. Players, and fans of slot games in particular, will also find that Casumo Casino offer one of the broadest selection of games of any online casino. A good number of those games, too, are available via mobile and the company’s mobile offering is also generally attractive and easy to use. Get 100% up to £300 & 20 free spins!